I have just received an email from a customer, telling that when importing the .m2ts files into Final Mate for Mac, the software refused to read the files. He wondered the reason and asked for the solution. And the error is reported as: The following 1 video(s) can not be read temporarily :"xxxx.m2ts"
Actually, Final Mate for Mac is mainly designed for HD camcorders, which capture videos in .mts format. Even when Aunsoft studio announced that it could support .m2ts format, there is still some limit. Before explaining the reason, we’d first learn some difference between .mts and .m2ts. Aunsoft Final Mate for Mac could support .mts or .m2ts files with single track, which means if the tracks are multiple, Final Mate for Mac won’t work. 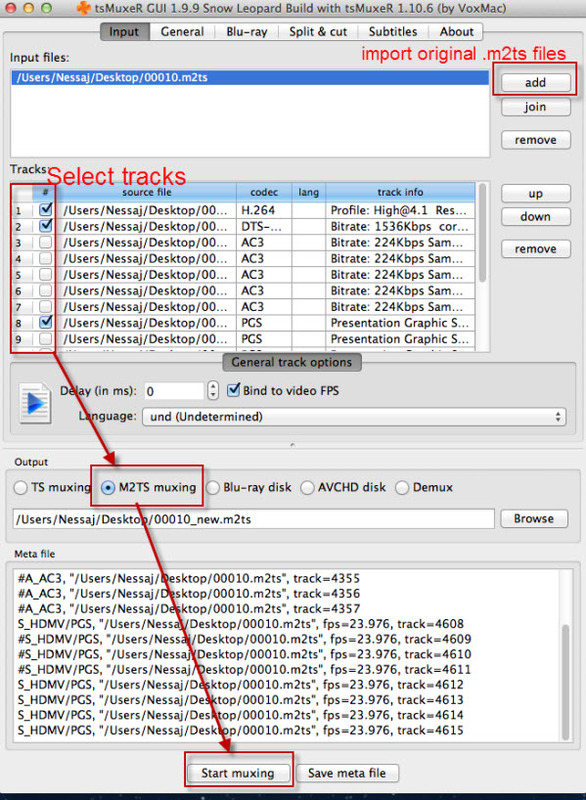 I have tested the custom’s original .m2ts video and found it actually had 6 audio tracks and 8 subtitle tracks. That’s why Final Mate couldn’t read his files. But if it’s your first time to use tsMuxer, you will find that it doesn’t allow the import of .m2ts files. The "Readme.VoxMac" in the Installation package will teach you how to solve this problem. After then, you can just import the multitracks files into tsMuxer and choose only one track for each stream: video, audio and subtitle. Click to output new .m2ts, which can be supported by Final Mate for Mac successfully. How to Import/Edit nanoFlash MXF on Avid Media Composer?